KGF Chapter 1 was awesome and Yash‘s performance was loved by everyone in. The craze for Chapter 1 is yet to finish and people have already started talking about KGF 2nd Chapter. Well, everyone was wondering if we could really see the 2nd Part, but the end of part 1 gives a clear hint that the 2nd Chapter is yet to come. 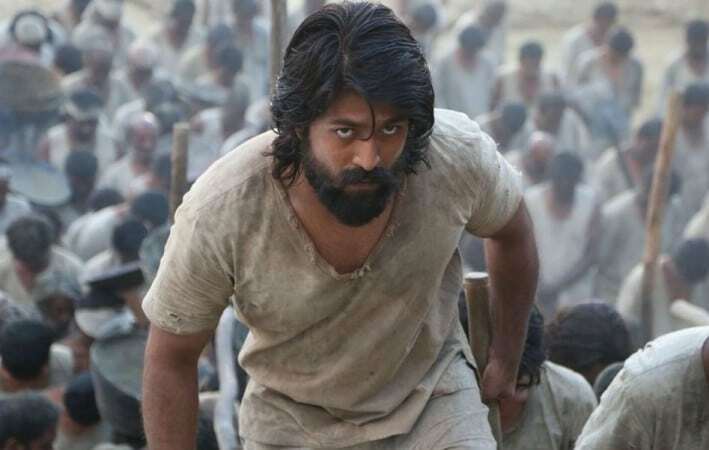 In this article, you will find KGF Chapter 2 Movie Details. People are already comparing KGF with Bhaaubali and we expect KGF Chapter 2 to be a blockbuster movie in Kannada industry. For those who want to know more about the movie keep reading this article. On one of the Interviews, Yash confirmed that they already have the script ready. KGF Chapter 2 will have the same cast and the shooting schedule is expected to start after February. The team has already shot 15% of the movie with the same technical team. Before talking about KGF 2nd Chapter story, lets roundup what happens in the 1st. We saw the 4 pillars who are alive and the 5th one, “Garuda” is already dead. KGF Chapter 2 is going to be a war between Rocky and the “West Coast King” & Garuda’s uncle. On the 1st Part of KGF, a lot of things were clear. First, it was about Garuda’s Uncle who was after the KGF and then the West Coast King. It seems a master plan by the other 4 pillars to find someone who could kill Garunda so that they could rule KGF. This is clear that there will a huge battle between Garuda’s Uncle and Yash (Rocky). There is anticipation going that the West Coast King who sends Rocky at KGF is the mastermind. Along with this him, we will also see that the Politician role. This ensures that KGF Chapter 2 is going to be one of the best movies for 2019. For those who are looking for KGF chapter 2 release date, we have to wait for the final confirmation. But according to the rumors we might see the movie out on December 2018. If we consider the same pattern as Baahubali 2, then we might expect KGF’s 2nd part to be out on 21st December 2018. The trailer for the movie is not yet out. It is expected that KGF Part 2 trailer will be out by November first week. But teasers and the post for KGF 2 will get released by October. KGF Chapter 1 was made with a budget of 50 Cr and the 2nd Part is expected to be more. As per users feedback, we are expecting to see much better VFX and better set, which will definitely cost a lot. There is an expectation that KGF Chapter 2 budget will be around 100 Cr so that they have the best to show to the people. During the Movie promotion, we see Yash talking about KGF chapter 2. According to Yash Statement, the script for the movie is out and this confirms that we might see the movie soon in 2019.